Kitchen and Residential Design: Reader Question: New lighting in my kitchen? Help! I just discovered your blog and love it! Thank you for sharing. What brought me here: I am in the early stages of a budget kitchen remodel. I live in a 1963 Royal Barry Wills Cape that was designed to look much older. There are black latches on the interior doors, not knobs, old fashioned windows, etc. My kitchen needed some updating, but I want to keep the cottage style. My kitchen is small --it's a wide galley with seven foot high ceilings. I'm planning to replace the '70s tile floor with oak hardwood. I'm going to hire a professional to paint the cabinetry Benjamin Moore White dove. I'm going to replace the cabinetry hardware, replace the Formica counters and put in a bead board ceiling. What ceiling light should I use and what counter material do you recommend? I love this Schoolhouse light for over the sink and I like soapstone counters but I'm concerned about sopastone's scratching and upkeep. Thanks for the questions and I'd be glad to weigh in on both of them. Before I do though, if you're in a Royal Barry Wills Cape Cod home, you really ought to check out Gina Milne's Willow Decor. Gina lives in a Royal Barry Wills home and knows more about that architecture than anyone I know. You want to light that room with a combination of recessed lights for ambient light and then a pendant over the sink and under cabinet lights for task lighting. 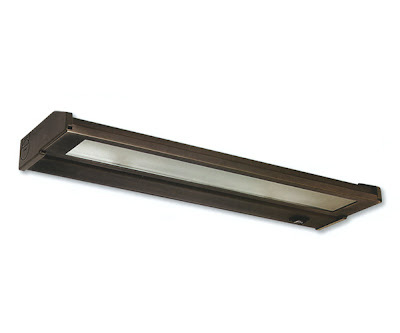 Despite the fact that your ceilings are rather low, you want to go with recessed lights. Use three- or four-inch cans and use more of them than you think you should. Put all of your lights on dimmers so you can control the light levels in that room based on what your needs are. Do not use a central, ceiling mounted light fixture. All you'll get is glare, something you want to avoid, avoid, avoid. Think about the work areas that will be in your new kitchen and place your cans accordingly. A mistake a lot of people make is to stick with a geometric layout for recessed lights without regard to how that lighting has to be used. Have them put on dimmers too. Don't use puck lights because you'll end up with a row of spot lights. Kitchens should be lit evenly to avoid glare and shadows. But more than any other advice I can give about lighting a kitchen, the best advice I can give is to go to an independent lighting store and talk to a lighting designer. Lighting design is a profession for a reason and no home center or website can give you the same kind of service and advice as an actual, flesh and blood lighting pro. Let a lighting designer put together a lighting plan for you and then let him or her supply your lights. It will be money well spent. Now, so far as soapstone on your counters, I say go for it. The neutral color of soapstone will allow you to do anything you want to color-wise in that kitchen and it's entirely appropriate for a '60s-era Cape Cod home. While it's true that soapstone is soft and it can be scratched, it really has no maintenance or upkeep issues. Soapstone is completely non-reactive so you can't stain it and it's also non-porous. It gets used in chemistry labs for a very good reason. 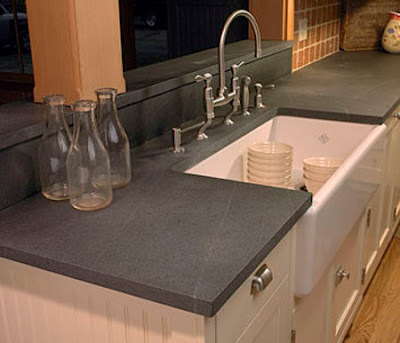 I have never met someone who has soapstone counters who didn't also love them. Often times, people wipe down their soapstone counters with mineral oil but that mineral oil is not making the counter water proof or sealing it in any way. 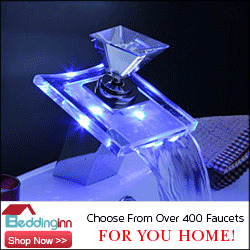 Rather, mineral oil sits on the surface of the stone and oxidizes, making the stone appear to be darker. I wrote a defense of soapstone back in October and you can jump to it here: Please Pass the Soapstone. So my advice is go to a lighting designer to get a layout for a lighting plan and then say yes to soapstone. And one last nugget of neighborly advice because I just can't help myself. Purge the clutter. Get rid of all of the stuff on your counters except for one or two things that you use every day. If you want to display something, hang it on a wall. If it won't hang on a wall get it out of your kitchen. Nothing makes a small kitchen look even smaller more than clutter. Good luck! I have too much stuff on my counter, too :-( I guess I better de-clutter!! Thanks for dropping by our blog and for your wonderful & supportive comment about my remodeled archways... you're great! Those intersecting arches are fantastic and the paint colors you used there are perfect. Mind if I re-print that photo here so I can illustrate how to do something interesting? Paul, I don't yet know what a Royal Barry Wills home is, but those kitchens on the Willow Decor blog are exactly what I'm envisioning for our new kitchen. It's small and is going to require some clever renovations. I don't know that I could even pick a favorite from all those photos if pressed to do so!! Gina's Willow Decor does have some great stuff in it and if you dig back far enough in her archives you can see some of what Gina did in her own home. Beautiful job she did, and although you new place is more Tudor Revival than Royal Barry Wills, the things that Gina posts would work perfectly in your new place. Thanks so much for the mention! I have a Colonial, but in my neighborhood RBW designed several Capes. The ceilings were lower for some reason. I LOVE a Cape. Your sugggestions for lighting are great! I also have two suggestions. The first is to recess a block of the ceiling like I did in my kithcen, then beadboard it. I also would remove the wood Valance over the sink and install a cutain or roman shade hung alomost at the ceiling. Both will the illusion of higher ceilings. Finally I would install tile floors on the diagonal which will open up the room. I have soapstone counters and can't say enough good things about it!! Just make sure you choose a very hard variety as the softer ones tend to ding like pine. Harder ones include "Beleza" and "Julia"
I would also enter Paul's giveaway - just to win his time would be fabulous!! Why did I think you have a RBW? RBW or not, you have formidable taste Gina and I stand by my recommendation that my questioning reader spend some time on Willow Decor. Please, do not leave spammy comments here. I do have a RBW designed home - My home is Colonial not a cape.